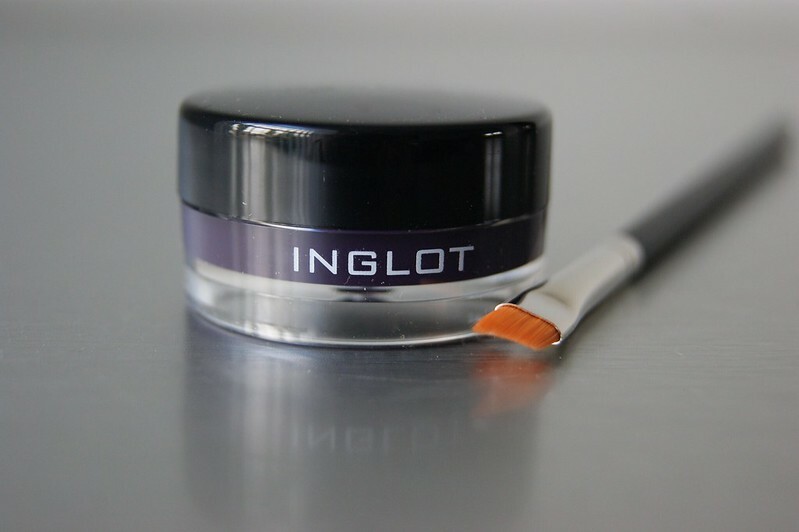 My report from my visit to the new Inglot-store is already online and I couldn't leave empty handed, now could I? A sweet make up artist gave me a new look, based on my skin tone and eyes -- it turns out I'm a cool type. I usually go for the usual black eyeliner and red lips, but I've been thinking to experiment a bit more with make up lately. This is a nice start to do so. Click below to find out which products I took home with me. If you want to create a soft look, be careful. 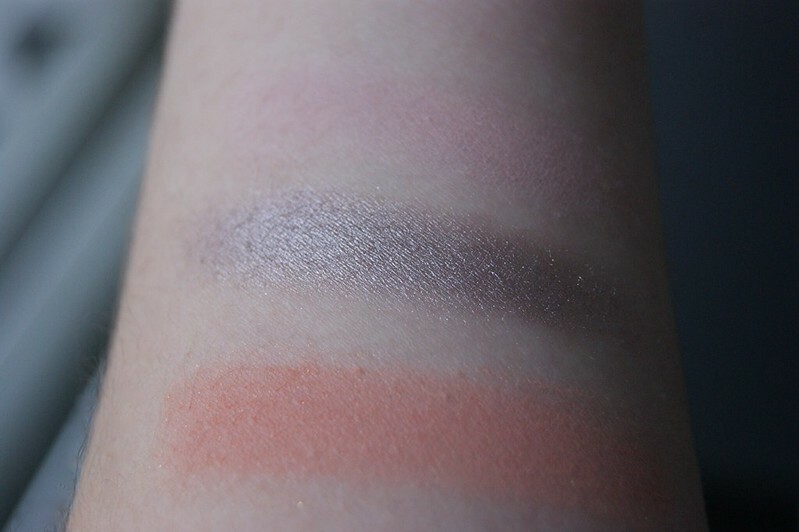 Because the eyeshadows are so pigmented, your eyes can look as if they are done heavily on purpose quite quickly. Unless you like them done that way, of course. I also got this dark purple eyeliner gel and brush, which is a whole new thing for me. I usually use pitch black eyeliner and an eyeliner pen for my looks, but my sister swears that using these type of brushes and gels are much more pleasant to work with. In the goodie bag, I also found a nail polish and brown lipliner. Since I have artificial nails and never use brown lipliner, I donated these two goodies to my mom. And she was happy, happy, happy! To create this look, I applied the salmon / peachy color on the inner part of my eyes. I then used the shimmery silver color on the rest of my eyelids. In the crease of my eyes, I applied the matte pink eyeshadow and blended it with the rest of the colors just a teeny tiny bit. And last but not least, I applied some purple eyeliner and mascara for a stronger effect. I'm a total beauty amateur but I think this look could have been worse, lol. Practice is key, so that's what I'll do. I'm really having fun with it! de look staat je goed! Het staat je inderdaad heel erg goed. 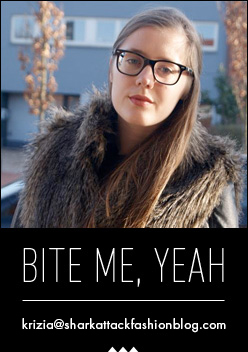 De eyeliner is ook erg moooooi! 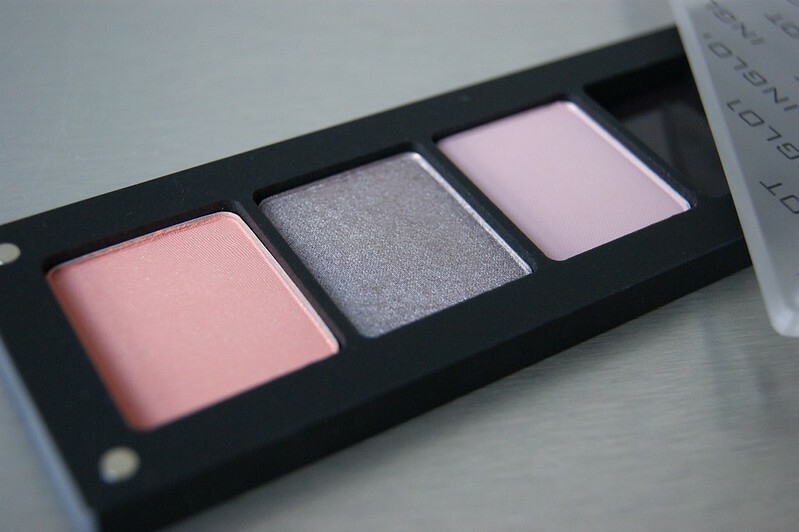 Love the eyeshadow, very pretty ! Mooie kleuren! Jammer dat de winkel zo veraf is voor mij! I love your blog..whould you like to follow each other? let me now..
MöchtenSieIhreUmgebung (physischodervirtuell) aufgeräumthabenaberimOrdnungsprozessinvolviertsein? Dies ist die beste Option fürSie, wennSienachhaltigAufräumenmöchten. Gemeinsameruierenwirein auf IhreBedürfnissezugeschnittenesOrdnungssystem, dassSiekünftigalleineverwaltenkönnen.HilfebeimAufräumen und Einrichten. Love those colors on you. I relay loved this blog its all posts are amazing but that post such a very nice keep it up...! Love these colors on you. Dat palet is supermooi, net zoals de look die je ermee gemaakt hebt!